After having a new Android phone, most users first look for an easy method to root their phone to open the world of possibilities and get the best out of their android phone. Once you rooted your phone, you have full access to system settings and can customize your phone the way you want. Once your android phone is rooted, you can enjoy all those great apps that ask root permission available in the Google Play Store. Another great thing you can do with your rooted android phone is that you can flash various custom ROMs. You can have a look in our previous post, where we have discussed a complete note on what is rooting and benefits of rooting android phone. 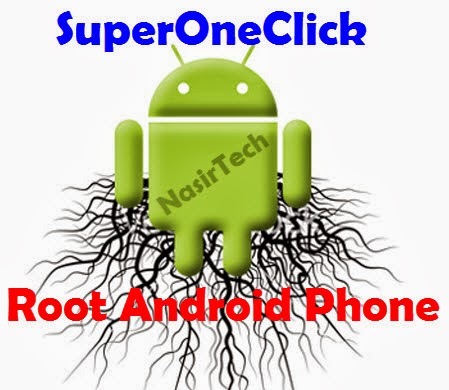 In this article, we are going to share a very simple process to root your android phone using the SuperOneClick utility which works with almost all android phones. SuperOneClick is a very simple and small utility (file size is approx 1.83MB) which allow easy user interface to root almost all android phone. Although there are many tools and apps available for rooting but we believe that SuperOneClick is the most convenient rooting tool for all type of users and best rooting utility out there. By following some simple steps, any one can root their android phone without any experts help. The tool also have an Un-root option so that you can Un-root your phone any time. Go through this page to find step by step tutorial to root your android phone using SuperOneClick utility. Supported and Non-supported devices: Except some HTC devices, the SuperOneClick utility can be used to root any android phone. We have listed here some of the android Smartphone and tablet devices which have been officially tested on SuperOneClick utility to root and works absolutely fine. But this is not that the utility can root only the below devices, you can also use the tool to root your phone even if your device is not in the list. check out supported and incompatible devices from the list below. Important Note: You should know that rooting involves some risk. Once rooted, your phone’s manufacturer warranty will be void. However, you can get back the warranty by un-rooting your phone or by re-installing official firmware. Rooting might cause bricking your phone if you miss out any point, so carefully follow every step. Double check all the above points because all these are very important before proceed to the rooting method. Now, Download the SuperOneClick rooting utility from the link below. The SuperOneClick program window will open. Click on the Samsung Captivate tab if you connected Samsung Captivate Smartphone or Click on Universal tab if you have any other Android Smartphone. 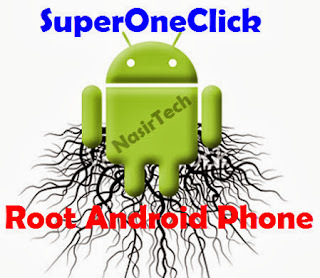 So, you have just learn to root android phone using SuperOneClick utility, isn’t it easy? Hope you find the tutorial helpful for you. If you followed everything as mentioned above, then your android phone is now rooted and you can enjoy all the benefits of a rooted android phone. You can check whether your phone is rooted or not from root checker app available in the Google Play Store. Now, if you want to Un-root your phone, either install official firmware or use the Unroot button in SuperOneClick software but do not try any other method. If you have query feel free to contact with us using the comment form below and also share your rooting experience with us.